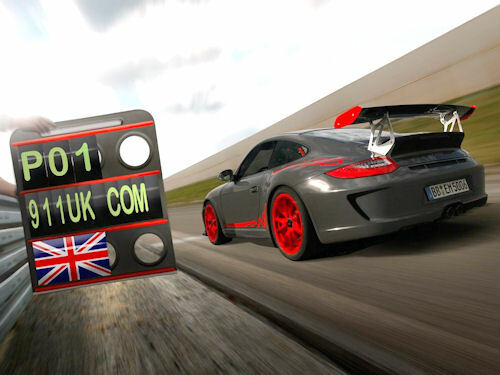 911uk.com - Porsche Forum : View topic - New 2010 Gen2 443bhp 911  GT3 RS launched! 911uk.com Forum Index -> 911 GT, R & RS Models (1973 - current)> 911 GT & RS FAQ > New 2010 Gen2 443bhp 911  GT3 RS launched! 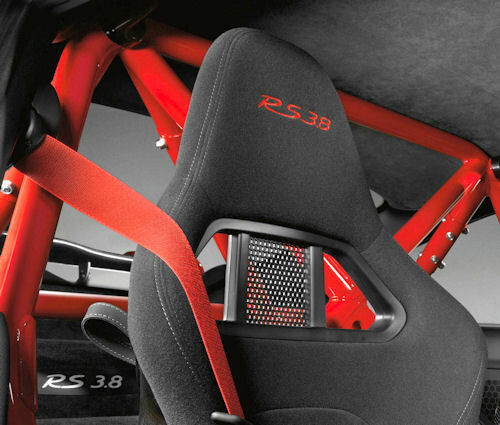 Posted: Wed Aug 19, 2009 7:48 am Post subject: New 2010 Gen2 443bhp 911  GT3 RS launched! Stuttgart. Dr. Ing. h.c. F. Porsche AG, Stuttgart, is sending the new 911 GT3 RS to the starting line: Delivering even more engine power, offering lower weight, and featuring shorter transmission ratios as well as body and suspension elements upgraded to an even higher standard, the new 911 GT3 RS sets the foundation for homologating the racing version of the 911 GT3 and therefore offers everything it takes for ongoing success on the race track, continuing the series of absolutely uncompromising, sporting 911s homologated for the road. The dynamic engine mounts featured as standard also serve to improve the car’s driving dynamics to an even higher level. Depending on driving conditions, the mounts change in their stiffness and damping effect, improving the connection between the engine and the body when driving under very dynamic conditions. As yet a further point the car’s aerodynamics develop even more downforce than on the GT3, again benefiting the qualities of the car on the race track. Racing qualities are also why Porsche is introducing another new option in 2010, a lithium-ion battery delivered with the car and, replacing the conventional lead battery, reducing weight by more than 10 kg or 22 lb. I like it. My organs are now officially up for sale, including my tackle cos I'm married and don't need them. Black (paint) with orange please, oh and remove ALL the graphics. did they get halfords to do the gfx lol. Phew, thought I'd be upset I'd gone for the GT3 but not sure I like any of those colour combos! Not keen on the graphics, door-pull, nor the blue/gold (Subaru?) color combo. I like the duck-tail rear spoiler tho. Don't mind having that on my C2S. What on earth were they thinking about... Whoever did/allowed this on a GT should get a severe bollocking at HQ and sent back to design school. Have they lost the plot with this one or what? ...did uncle walt have a brown paper bag on underneath that helmet. 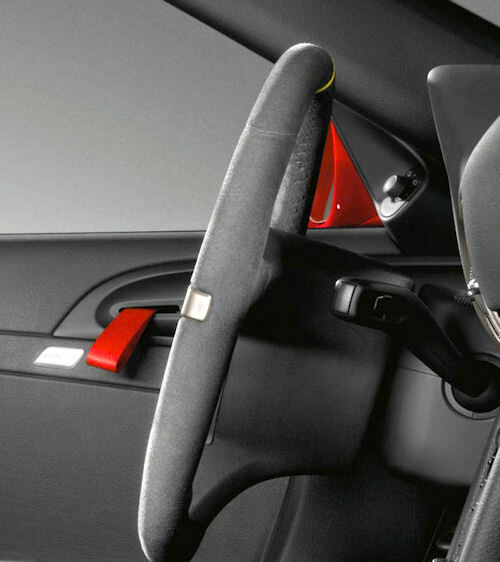 Posted: Wed Aug 19, 2009 4:55 pm Post subject: New 2010 Gen2 443bhp 911  GT3 RS launched! I wish I could drive like him, brown paper bag or not. I'd take the dark grey, have all of the graphics removed, have all of the accent colours (mirrors, end plates on the wing, hideous nose) replaced with black and have the black side graphics from the gen 1 RS put on it. Nylon Door Pulls are sporting or over kill ? Interior looks great but those front wheelarch extensions are straight off a mondeo st220, they do not look right, be better off going the pop-rivetted look like the 993 gt2! what happened to that plucky F1's favourite crashing homeboy "David Coulthard"
Maybe he was not good enough to a F1 champ perhaps? ?.......in the same vein as your plucky F1 countryman, Mr Stirling Moss .